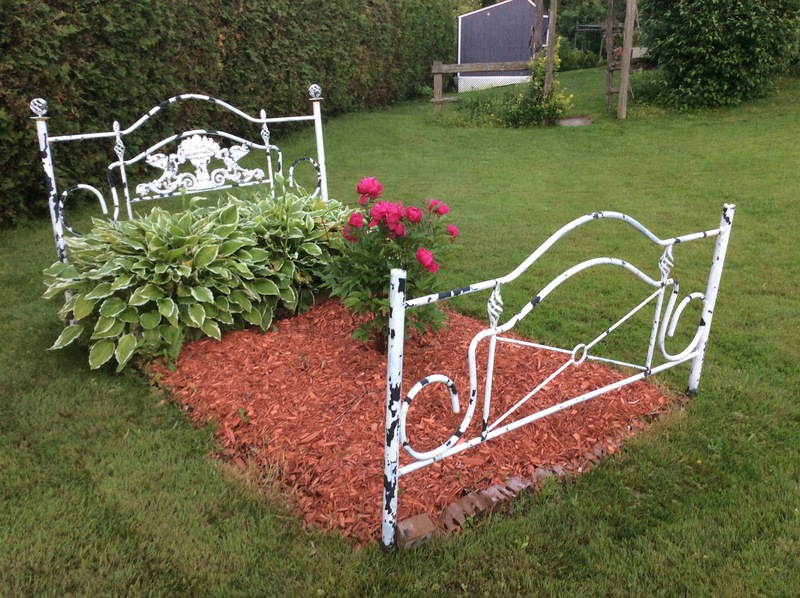 We found this old iron bed on the side of the road and asked the owners if it was for sale. They were putting it out for garbage so we asked if we could have it. We painted it white because it was originally black. You can see it needs to be repainted but I do like the rustic look. This is just one of the many garden treasures we have in our 1/2 acre property. We call it the “Flower Bed” of course. I’m entering this photo in the Camera Lucida photo challenge. You can enter here. Thank you. It’s a challenge not a contest. Everyone gets a mention. It’s interesting to see everyone’s idea on the theme each week. Yes. Anyone can enter and you don’t have to be a photographer. Very creative, and original flower bed. Good interpretation of the challenge too. I like the bed frame the rustic way – missing flakes of paint. Great photo. That is wonderful! What a brilliant idea.